Melfann's domain: I'm finally on Pinterest! 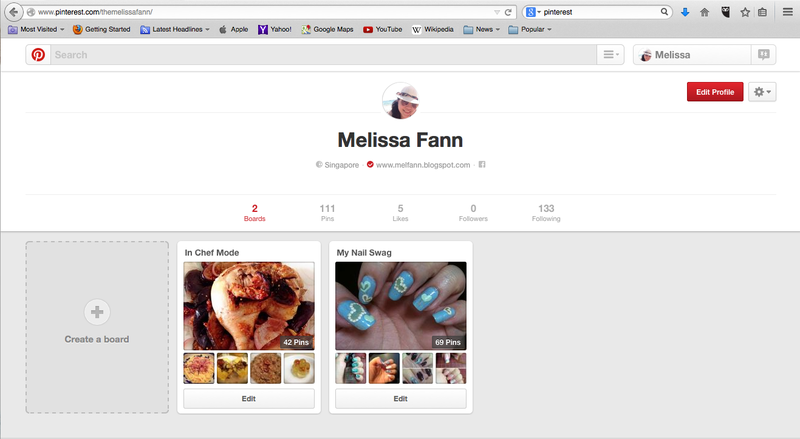 I'm finally on Pinterest and if you'd like a more organised 'board' of my posts on my nail art plus my recipes, do follow me there at http://www.pinterest.com/themelissafann/. Besides those 2 boards, do give me suggestions on what other boards I should put up as I'd love to hear from you guys. Big thanks in advance for the follow!